Cairns art and craft is inspired by the warm tropical climate, beautiful natural surrounds and friendly local culture of this unique part of Australia. Indigenous artworks stem from the region's ancient Aboriginal history while local photographers and artists capture the beauty of the unique natural environment. Local artisans also produce handicrafts, clothing and textiles, organic products, paintings and gourmet local produce. 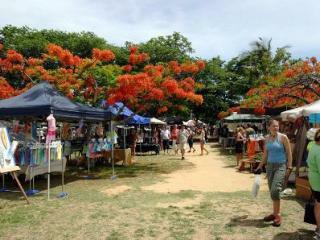 The best place to find Cairns art and craft is at one of the local markets. 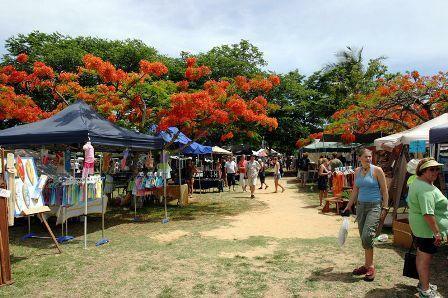 Offering everything from tropical fruit and locally grown veggies to fresh caught seafood, homemade preserves, deli foods and so much more, these markets feature a wide variety of stalls selling everything from gourmet local produce to the famous Cairns art and craft. A wonderful way to spend the day or evening, there's plenty available for all budgets and whether you're looking for something in particular or just enjoy the leisurely stroll as you browse the stalls, you're sure to find something that takes your fancy. The Cairns Mud Markets are held at the Pier Marketplace Mall at the Marlin Marina every Saturday and Sunday from 9am to 3pm and are indoor craft markets selling everything from artwork, pottery, glass wear, jewellery, handicrafts and souvenirs accompanied by live entertainment to keep the atmosphere alive. 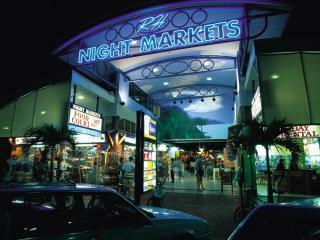 The Cairns Night Market is a famous art and craft institution held nightly on The Esplanade from 5pm to 11pm. 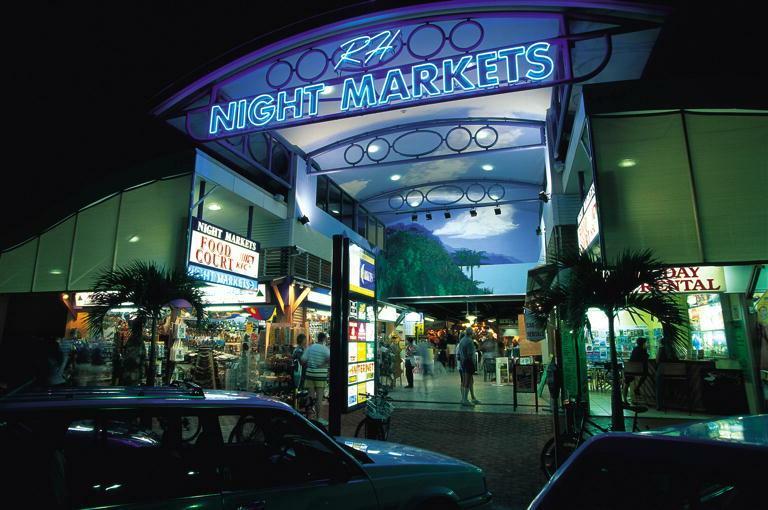 A unique experience that Cairns is renowned for, these markets are a must see attraction on any visit to Cairns and feature more than 70 stalls offering everything from crocodile skins to opals, blown glass, home wares, Akubra hats and much more. There's also plenty of eating options to make your way through as you browse the stalls including French and Asian cuisine as well as the fresh local seafood.